Here are some video clips from our recent performances. Check us out at Funk Freaks in LA, and a live show at San Diego! 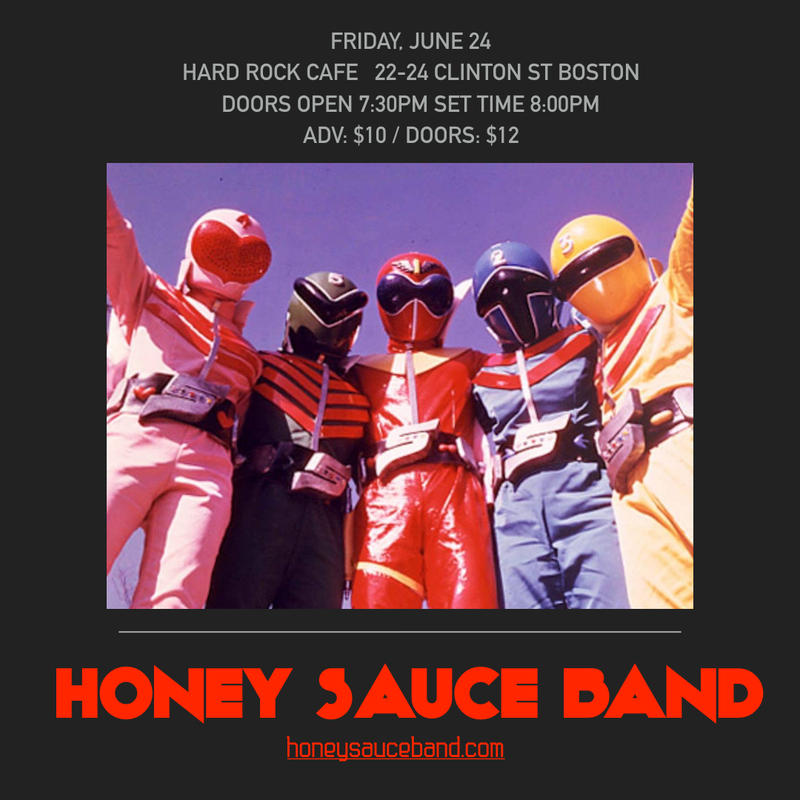 Honey Sauce Band will be bringing the funk for a great cause. We will be headlining a cancer benefit on Sunday, 6/25 at Whites of Westport (66 State Road, Westport). Tickets are $20, and there will be a variety of entertainment that day. Hope to see you there! 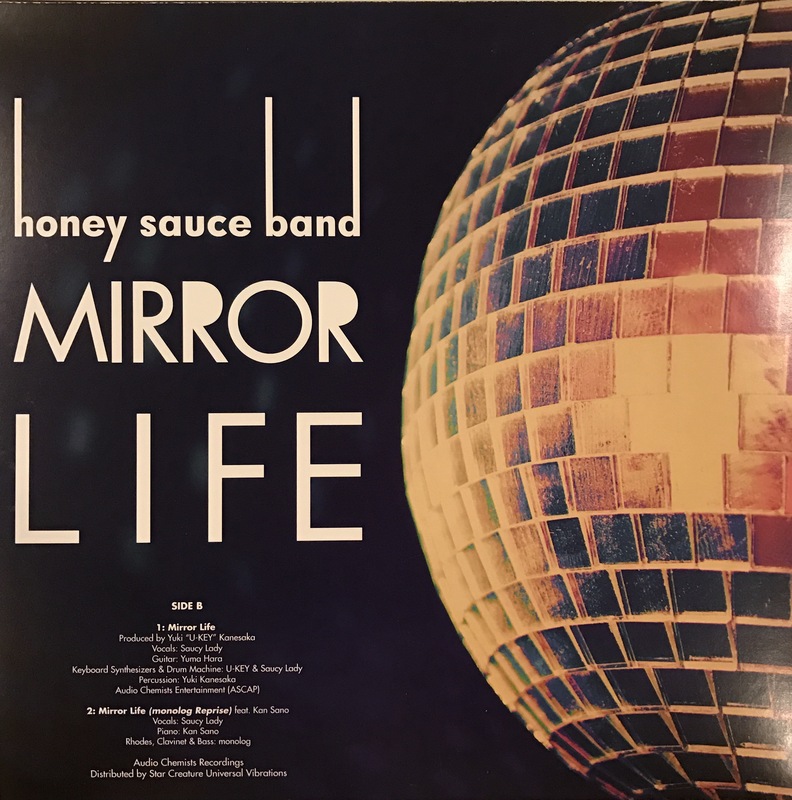 Honey Sauce Band’s should have a familiar ring for those keeping up with the modern funk and disco scene – 5 tracks crossover banger for all scenes and vibes. “Boy Toy” has been making it’s rounds on both coasts in form of a test press and accompanying video of it smashing the dance floor at a Funk Freaks party in SoCal. Following the original track, a couple of banger remixes from Star Creature fam E-Live and Ourra that carry Saucy Lady’s lyrics into cosmic boogie heaven. The flip side features “Mirror Life” and its remix both produced by Yuki “U-KEY” Kanesaka, the mastermind behind this band’s scintillating live soundscape. “Mirror Life” is an ode to the disco ball reflecting on the movements on the dance floor, a presence much like the “sun” shining over the revolving earth. The track’s remix features Kan Sano (Razor-N-Tape) on piano, while the breakbeat sample on the drums offer that dirty funk that’ll guarantee a b-boy cypher on the dance floors worldwide. Released on Saucy’s own Audio Chemists label and distributed by Star Creature. This tune along with a few remixes and new music, will be releasing on 12″ vinyl via Audio Chemists Recordings in December 2016. Can’t wait!! We just posted clips from our Hard Rock show on Youtube, check it! We had so much fun at the Hard Rock Cafe Boston last Friday 6/24! Let’s do it again!